Hyundai has announced that Tony Whitehorn is to stand down from his role as the company’s UK president and CEO at the end of this year. Whitehorn joined the business as managing director in 2005 and went on in 2011 to become the first non-Korean in the history of Hyundai Motor Europe to be promoted to president and CEO. 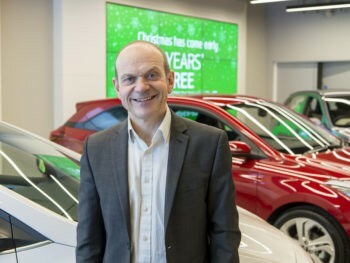 Under his guidance, the business has expanded from being the 23rd highest-selling carmaker in the UK to one of the top 10 with sales of more than 93,000 units last year. Hyundai will recruit a new managing director, with Whitehorn to continue working for the business as executive advisor for the first part of 2019 to assist with the transition to the new management.